From the Hancock County Courthouse, go on Hwy 22 east for 12.5 miles to Powelton Church Road (CR 219). The road will be in sight of the Powelton Community sign. Turn right on Powelton Church Road and go 0.9 mile. 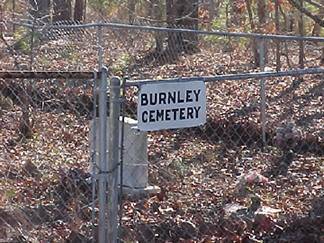 On the right hand side of the road is a Burnley Cemetery sign. Right beside it is a logging road. Walk down the logging road for 0.5 mile. The cemetery is on the right. "Mother" On same gravestone as George Henry Burnley. s/o J. R. & Annie Burnley. 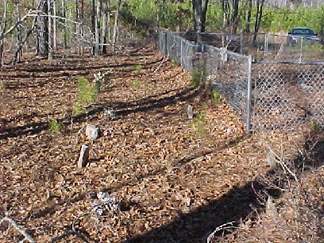 About 14 graves outside the fence.